The long overdue sci-fi film will be released a day ahead of Sara Ali Khan's debut film, Kedarnath. It has been a long wait indeed for Rajinikanth and Akshay Kumar fans for 2.0. The science-fiction drama directed by Shankar has been through quite a few release announcements and postponements because of the delay in the extensive visual effects required for the film. The movie will now hit the theatres on November 29, 2018. Earlier, reports were rife that the makers of the film were not too kicked with the quality of the visual effects of the film and so they've decided to rework the VFX since they weren't convinces with the first copy. Speculations were also rife that the makers were eying the Republic Week 2019 release, in which case 2.0 would have clashed with Hrithik Roshan's upcoming film titled Super 30. Now, putting all the speculations to rest, the makers revealed the new release date of the film on Twitter along with a new poster. Akshay Kumar too shared the tweet of Lyca Productions writing, "Get ready for the ultimate clash, #2Point0 on 29th November, 2018!" With great pride and immense excitement, announcing the release date of our magnum opus 2.0 — November 29, 2018. Gear up to view the ultimate clash Good or Evil,” Lyca Productions tweeted today. 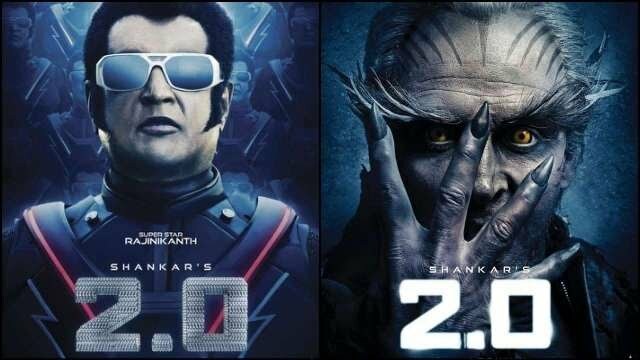 The makers had early on decided against calling 2.0 a sequel to Enthiran / Robot (2010). Instead, they have termed it a 'spiritual successor' to the blockbuster. The film has been shot in Tamil and Hindi simultaneously. It is also the only film to feature superstar Rajinikanth and Hindi film star Akshay Kumar together. While Rajinikanth returns to reprise the roles of Dr Vaseegaran and the robot Chitti, Akshay Kumar plays the antagonist in this film. The film also has Southern actress Amy Jackson and Adil Hussain in the supporting cast. The film is rumoured to be the most expensive Indian film yet, with a production budget of Rs500 crore. If 2.0 is indeed going to be released at last on 29 November, will Kedarnath director Abhishek Kapoor shift his film starring Sushant Singh Rajput and Sara Ali Khan? There is also the Karan Johar production Student Of The Year 2 scheduled for release on 30 November. Will Johar make way for his friend Akshay Kumar?Johar's Dharma Productions is also producing the Akshay Kumar-starrer period film Kesari. It sure seems like there will be a scramble for screens in the last week of November.